How many times have you heard the phrase in DinarLand that you are one day closer to "Our Blessings"? Here's the harsh reality. Your one day closer to death, than you are to seeing any "Magical RV" coming from these con artists and spewing lies about the ZIM being a bond. Spending hours listening to conference call after conference call, visiting chatroom after chatroom getting updated on the latest lie, is time you don't get back. You would be better served to research why it's all a made up lie, and that fantasies like this can't come true, then make the most of your life. Your one day closer to death, starting tomorrow. 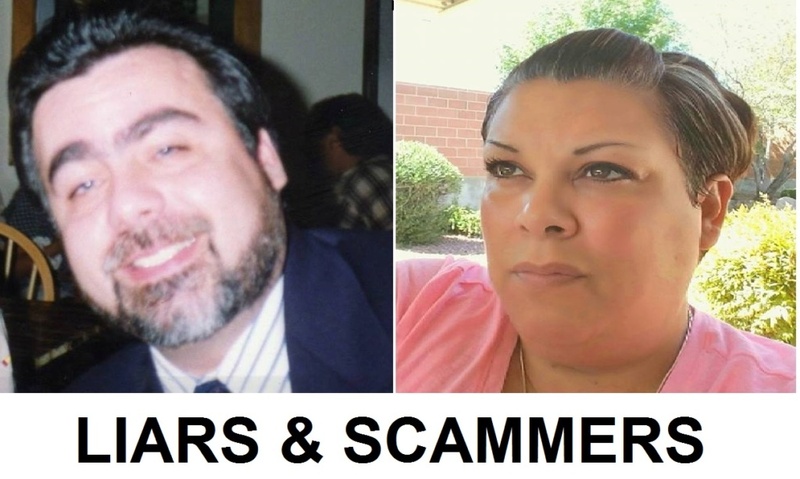 You will find that there are quite a number of people who put out warnings against conmen like Becky and Fred, and will continue to do so. If you haven't already noticed, Becky and Fred started a campaign long ago to have their gullible followers block folks who warn against them. Becky and Fred are afraid of losing income from their flock. 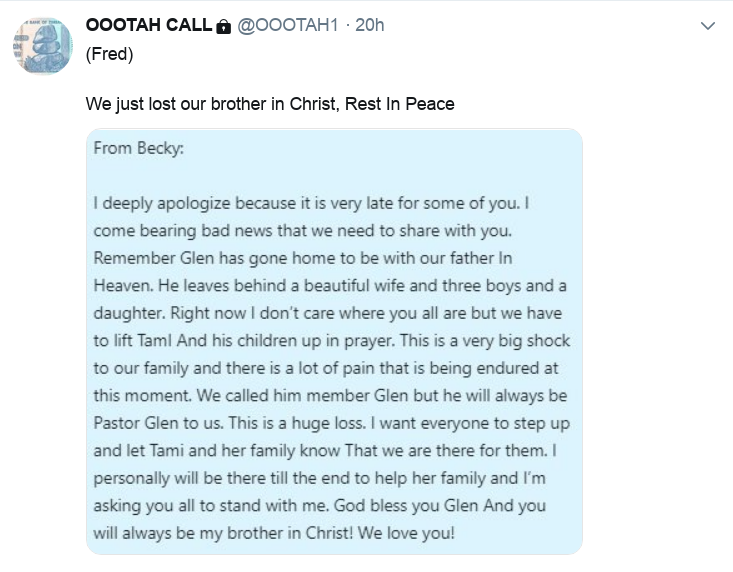 So Becky, Let Member Glenn's death weigh heavy in your heart, if you even have one. Did your lies rob Glenn from seeking the attention he needed to save his life? Your lies have robbed his wife of precious time they couldn't spend together. Your lies have robbed his children precious time they couldn't have with their father. My condolences to Glenn's family.